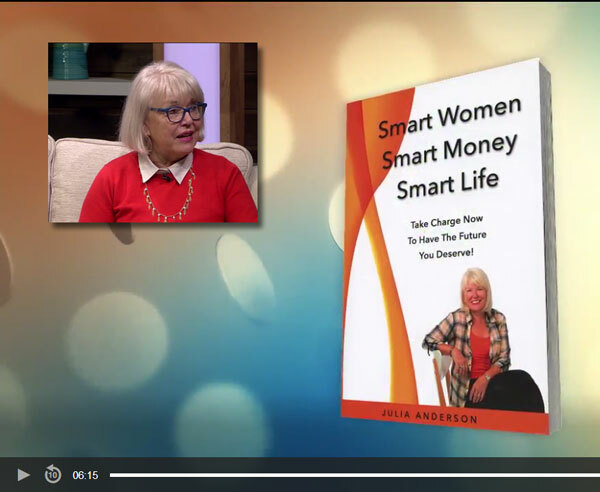 Check out "Smart Women Smart Money Smart Life", my book meant to help you take charge of your financial future whether you just now are beginning to think about retirement planning or are nearing that goal. In 70 chapters, Smart Women Smart Money Smart Life covers topics such as how to take an early job buyout offer, how and when to claim Social Security benefits and how to marry after age 60. Do you need basic estate planning help with wills and health care directives? The book has answers. Managing on your own? Smart Women Smart Money is a place to start. My first box of clothes from Stitch Fix, the online clothes styling service, arrived this week. Of the five items in the box, I kept three, a pair of dark blue Capri pants and two tops, one with quarter-length sleeves with white stripes on black, the other a tailored, lighter summer blouse. Total cost -- $190. I signed up in desperation. Nordstrom abandoned me a couple of years ago when the company closed its mall retail store nearest to my house. To shop Nordstrom, I now must drive an hour, one-way. The change has been a hard adjustment. I have been a card-carrying Nordstrom shopper since the ‘70s when I lived in Seattle. Sadly, I care about Nordstrom, which has faced challenges with the shifting online retail environment and its marketing strategy. I loved the stores. Going to Nordstrom-land always made me feel better. I could usually find something of quality, something in my price-range (my upper price range). Of course, there were the extras – tissue-paper wrapped items, fragrances from the cosmetic counter, accessories and superb customer-service. As a full-time working baby boomer, Nordstrom was my go-to place for business-dress suits, shoes and blouses. And when I needed the occasional elegant dress for a fund-raiser gala Nordstrom would come through. The chain began my abandonment long before the mall store closed. The merchandising mix changed as an attempt to attract younger customers. Prices moved higher. I began to walk out of my favorite store without finding something that “brought me joy.” An unsettling disappointment. Then Nordstrom was gone from my town. Since then, my purchases at Nordstrom have dropped to one or two items a year. Stores can still have what I need when I want quality -- a pair of well-made black leather sandals (for $200), for instance, or a black all-occasion wool scarf for travel ($100). A pair of fleece-lined green suede boots caught my eye, but that $230-purchase was more than a year ago. Honestly, Nordstrom is too expensive. I've been priced out of its market. The mailed catalog has always been out of reach. Macy’s, Target and Kohl’s are all I have left. But Macy’s just turned half of its upper mall store floor into a junky discount bin. Seems like a race to the bottom. Never bought much at Target or Kohl’s or J.C. Penny’s. The quality is not there. I have done better finding what I want at a curated consignment shop called Gather in Seattle’s Columbia City neighborhood when visiting my son. A couple of locally owned women’s shops in my hometown offer some hope. Since the Great Recession I've saved money on clothing by buying workout clothes, outdoor zip-up sweatshirts, outer rain wear and stuff for gardening at Goodwill. Why spend $20 on a cotton blouse or an exercise bra when I can find one for $5 at Goodwill? But as I’ve aged, I have found retailers no longer take me seriously. They are missing the boat. 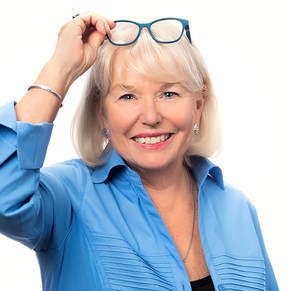 Baby boomer women are NOT OLD and do NOT want to look frumpy and old. Clothes shopping was once fun for me, a stress-reliever, a way to find something nice, on sale. I could be in the moment, day-dream about what might look good, give my work-a-day world a lift. I’ve told Stitch Fix everything about me….my weight, height, hip measurements, bra size, how I like to dress. There was nothing in my first box that knocked my socks off. Hum, if she can’t find happiness with Stitch Fix, I wonder can I? A new box of clothes arrives next month. Meanwhile, I just clicked the buy-now button at Amazon to replace the Estee Lauder lipstick I’ve been wearing this year. That’s better than driving into town, searching the cosmetic counter at Macy’s for someone to help me, only to find out that that particular shade of lipstick is not in stock. Should we panic over Social Security? No, here's why. Management fees are a big deal in a cooling market. To access sixtyandsingle.com blog posts, please click on the "articles" tab at the top of this page. Own Your Future is my two and one-half hour workshop with one goal: Help people plan, save and invest for their long-term financial well-being. We explain the miracle of compound-interest and reinvested dividend returns and why starting early is so important. The workshop leads people through a 5-step method of long-term retirement planning. We cover investment fund management fees, how to hire a financial adviser and why inflation can eat up your savings nest egg. If your employees or group would benefit from a high-energy, how-to workshop with power-point and handouts, please contact me by email at grinnellroadfarm@gmail.com. See separate page for more details. Julia Anderson appears on AM Northwest, Portland’s live television show on KATU with host Helen Raptis. They discuss Julia’s book and what she would tell her younger self about saving and investing for the long-term.